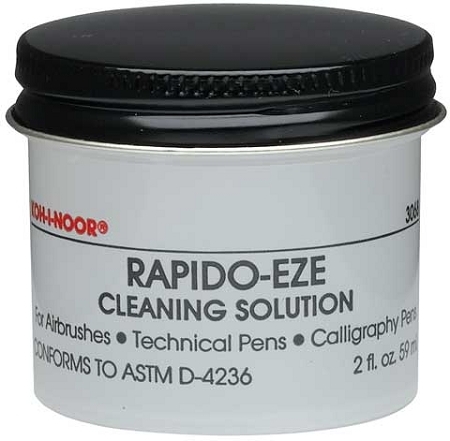 For airbrushes, technical pens and calligraphy pens. Non-toxic. Use full strength for clogged points and all parts with hard dried ink. Use diluted with four parts water for periodic maintenance and for use in ultrasonic cleaners. Will not harm plastic or metal parts.